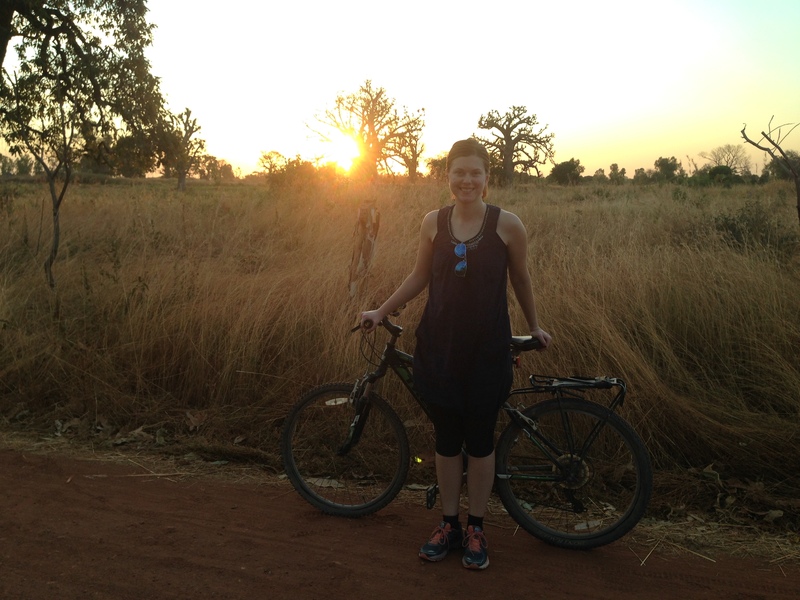 A little over two years ago, I set off on an adventure to live and work in Senegal. It’s hard to believe that my time here is almost finished, but, as I look forward, I wish I had more time to be in this place that’s become home. At this point in many a PCV’s service, he or she is more than ready to return home to America. After living in Senegal for two years, we miss family and friends, are exhausted from navigating a different culture and language, and are simply ready to move onto the next stage of life. Although I feel all of those things, I’m also not prepared to pack up and leave in less than two months. When a child is having a rough day – crying all the time, falling down, or not getting along with others – people will say that she is trying to carry a mountain on her back… “O waawa bambugol pelle.” The child is attempting to take on the world, but failing. As I look forward to the future – being reunited with family and friends, eating hamburgers, speaking English, searching for a job, and driving in a fully-functioning automobile – I feel like I’m carrying a mountain on my back. No one could argue that any of those are bad things, but I’m overwhelmed by the thought of tackling the challenges that will come with those opportunities. Being a privileged American, I don’t want to complain about these first world prospects. There are so many job openings that I don’t know which ones to apply to. I’m free to move to any city in the world, if it fits my fancy. Everyone I know speaks English so I don’t have to learn a new language to get ahead. The money I earn from being employed allows me to buy good food, nice clothes, and even a car. But, yet, the mountain on my back seems so heavy. Transitions are never easy. It wasn’t easy coming here and it won’t be easy to leave. I’ve invested two years in learning the local language, building relationships, and becoming a trusted member of the community. In just a couple months, I’ll leave most of that behind. My family and friends will only be a Skype call away, but it’s not the same as spending time together every day. The literal translation of the phrase, “O waawa bambugol pelle,” is “She can’t carry a mountain on her back.” Mountains aren’t to be carrying around. Mountains aren’t to be moved. Mountains are to be enjoyed for their beauty, explored for recreational thrills, traversed when needed, but otherwise left alone. If you’re trying to carry a mountain on your back, you’re doing something wrong. The future is exciting, but it’s also terrifying. Just like climbing a mountain peak, it’s not without its struggles. But, like reaching the summit, it’s always worth the sweat and tears shed along the way. As I prepare to leave Senegal and return to America, I hope the mountain on my back turns to a molehill; allowing me to straighten my bent back and enjoy the views. 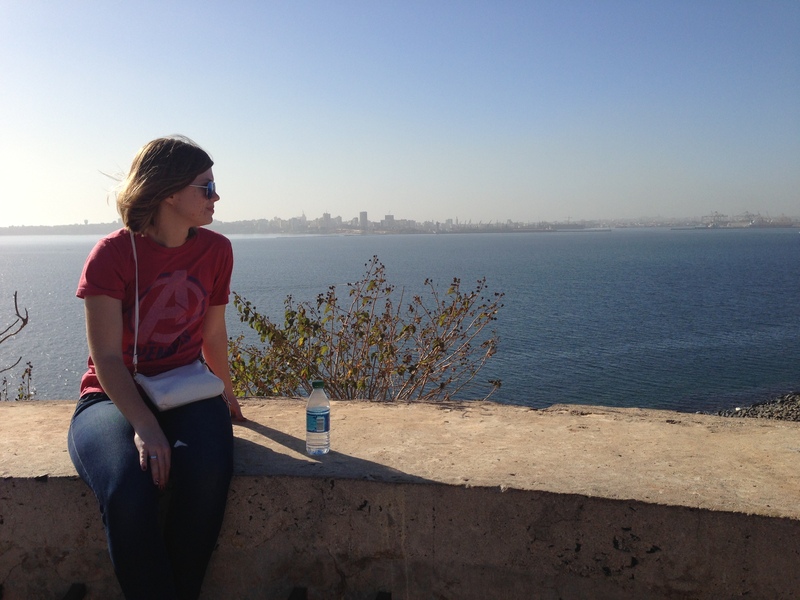 A couple weeks ago, my sister came to visit me in Senegal. Her trip was a wonderful combination of seeing tourist attractions, observing my life in site, and simply spending time together. After spending two weeks with me traveling around the country, she has a better idea of what I’ve been doing here for the past two years. 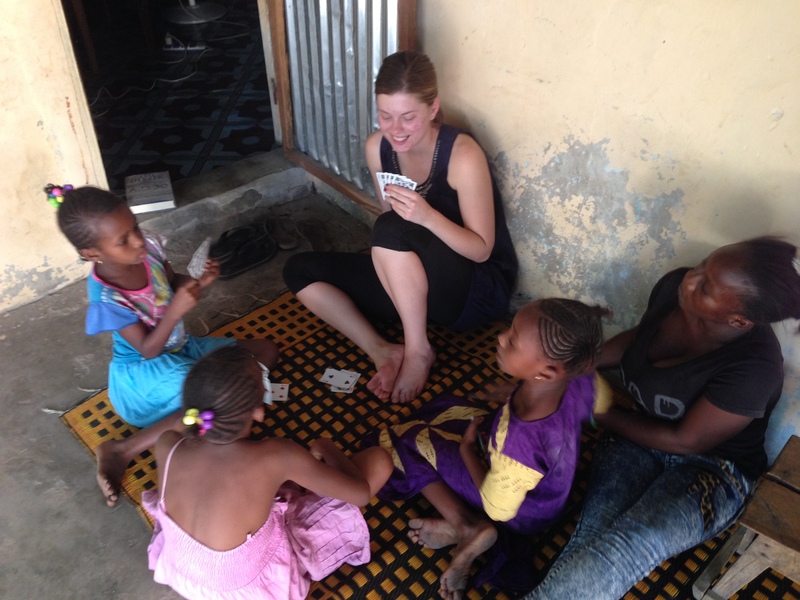 Having a guest with me in Senegal was eye-opening. As I was guiding my sister through this noisy, smelly, dirty country that has become my home, I began to see this place from a different perspective. After living here for so long, it’s easy to view the people, culture, and values through a clouded paradigm. From the crowded garages to the barren countryside to the constant bombardment of personal space, I tried to look at my world from an outsider’s perspective. Fresh eyes gave me a fresh outlook. Instead of seeing an overwhelming garage filled with shouting men and exhaust-spouting cars, I marveled at the organization. Every person had a job, from the young men touting baggage to the old ones collecting money to women roving around with snacks carried in buckets on their head. This was a bustling economy where travelers from all over the country pass through on their way to somewhere else. These madhouses, typically the bane of my travel experiences, provide excellent insight into how this country functions. 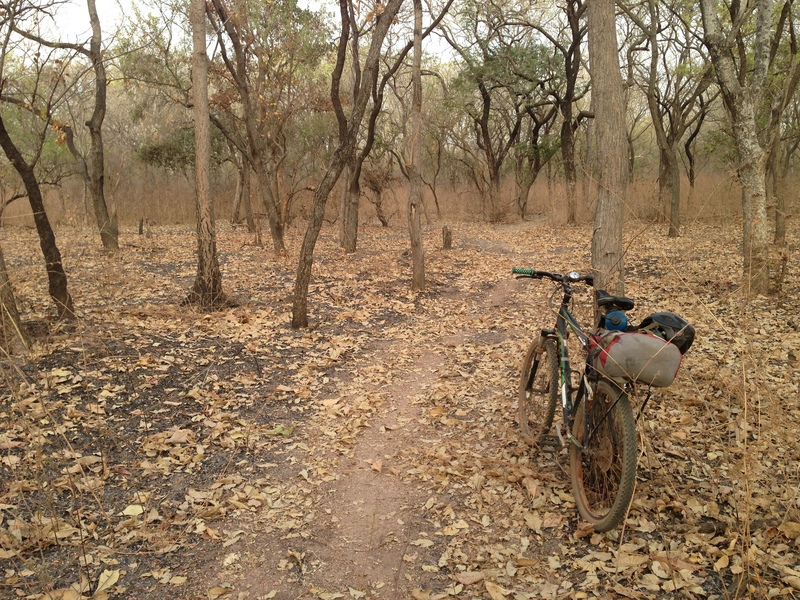 Much of Senegal has, unfortunately, been deforested for firewood, charcoal, and farming. Trees and rivers have long ago been replaced by shrubs and gullies. Although this is tragic, and should be reversed, there is a certain beauty in the dusty landscape. Where I used to see only desert smattered with occasional growth, I now see the mighty baobab tree standing strong against the hot, red sun. This land, like the people who cultivate it, is resilient to the forces at play. 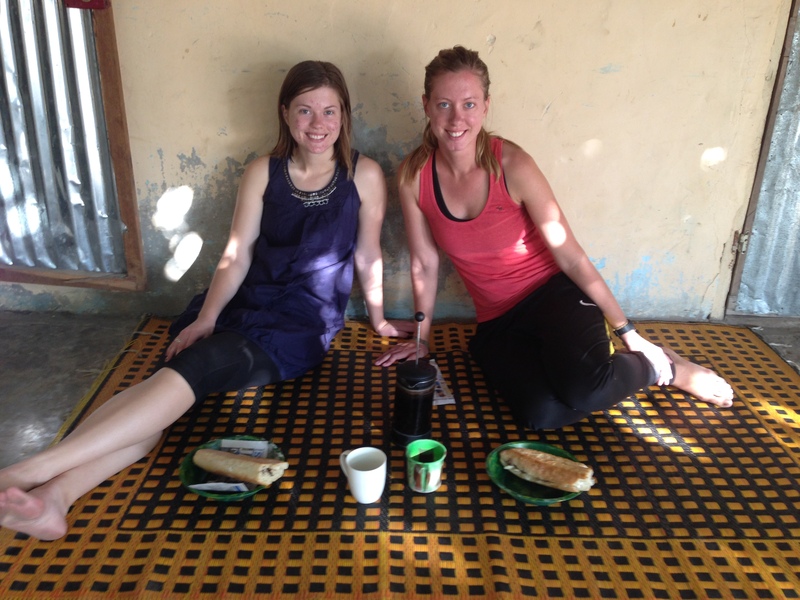 Upon arriving in Velingara, my family immediately swarmed around us in curious anticipation. Your sister looks like you. What is her name? She is very white. How long will she be staying? She must be very tired. When did she get here? And so on, and on, and on. Senegal is known for its teranga, or hospitality, and, while it often looks different than Western hospitality, my family spared no expense. Big meals that we were forced to eat until we thought we would throw up. Tea and soda until we thought our teeth would rot from the sugar intake. And children crowded around us as soon as we stepped out of the door. After being pushed and pulled, tossed and pitched throughout my service, I was quick to protect my sister from the invasion on her personal space. But she loved all of it. The girls playing with her hair. The boys wrestling on her lap. My brother tried out his terrible English. My grandmother attempted to teach her Pular. Instead of pushing back, she soaked it all up and took the challenge. These were my people, and so they would also become her’s. Through constant translating and guiding, I was able to wipe some of the splotches from my clouded paradigm and see Senegal was a different perspective. My sister gave me a viewpoint that can only be seen with eyes that are untainted by previous experiences. 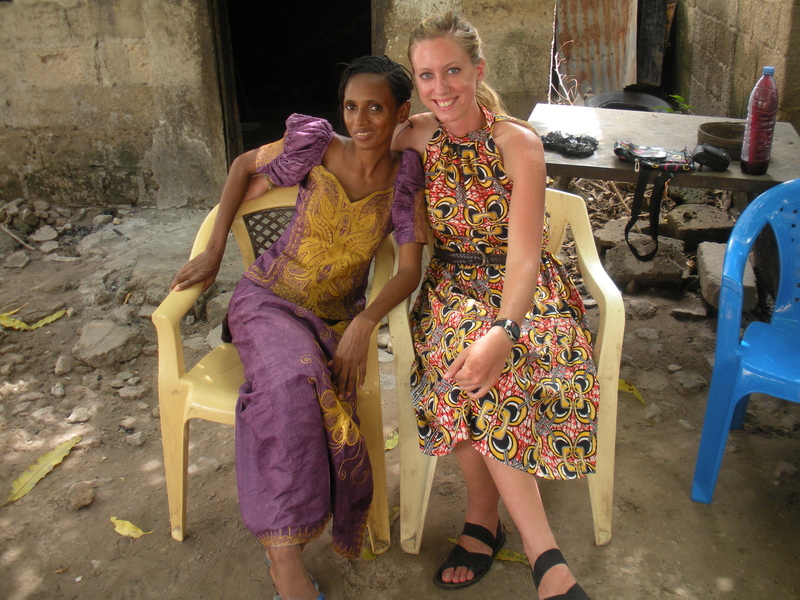 Although every culture has its negative aspects, she allowed me to see more of the positives while she was here. If a fresh perspective can do so much good, what else are we missing with our backward worldviews? When a white girl goes to Africa, she inevitably comes back with a sunburn, colorful fabric, and loads of souvenirs representing her time on the continent. 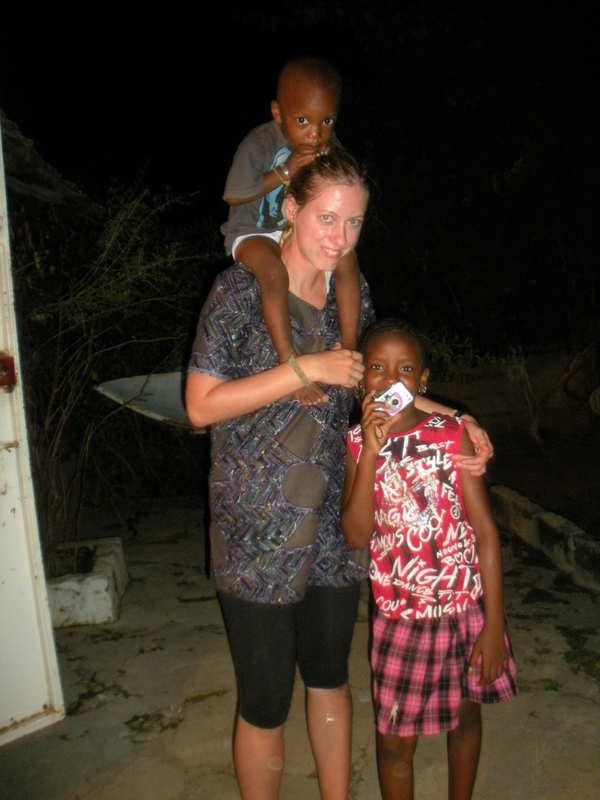 But the most novel symbol of her trip is the new Facebook profile picture: said white girl surrounded by nameless African children. It doesn’t even have to be in Africa. Wherever the white girl goes, from Argentina to India, the profile picture invariably changes. What better way to represent a vacation, mission trip, or travel destination than to pose with a bunch of local children, flash a quick smile, and upload it to social media? This is the pinnacle of the white girl’s trip: she can return home knowing that all her friends have realized the significance of her cultural excursion. 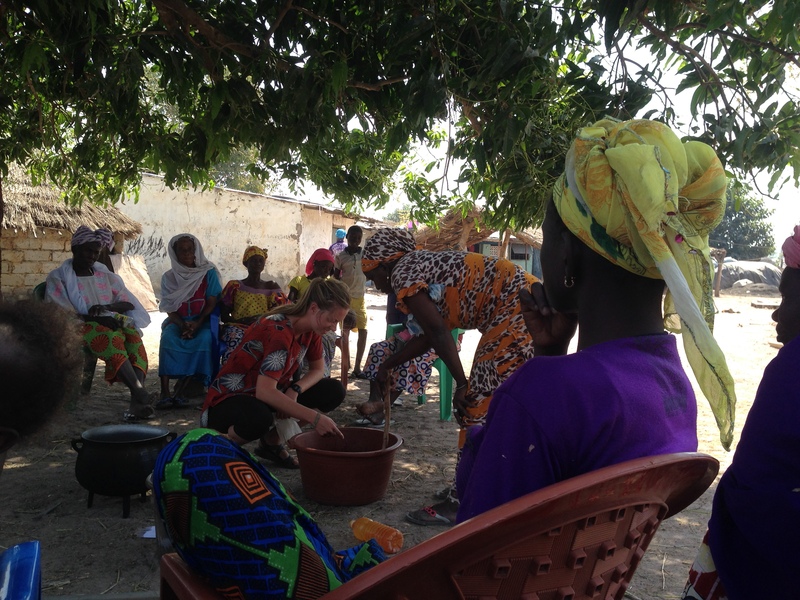 A few months ago, I worked with a fellow Peace Corps Volunteer (PCV) to hold a soap making training for a women’s group in a small village. It’s a pretty simple training, only lasting a couple hours. During the training, the other PCV took a photo of me leading the training. 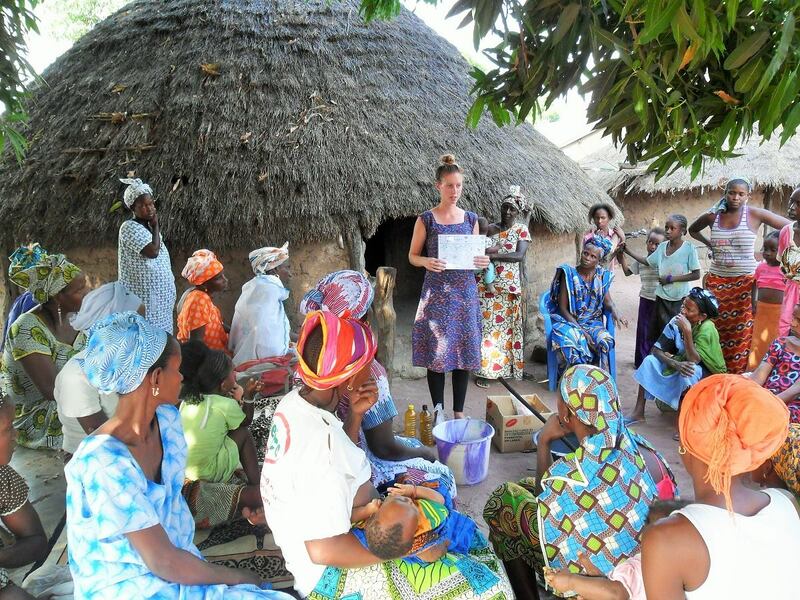 In the photo, I’m wearing a dress made of local fabric and holding a visual aid as I explain the process to make soap. There’s a hut in the background, a mango tree in the foreground, and the women appear to be listening attentively. After the training, when my friend showed me the photo, I laughed out loud. The picture is such an absurd representation of my service in Senegal. It belongs on a Peace Corps propaganda poster at a university campus in the United States. But, to many of my friends and family back home, that photo is a prefect depiction of my life in Africa. For many Americans, there is some sort of exotic pull towards Africa and other developing parts of the world. Helping others supposedly less fortunate than yourself is upheld as such a noble cause. After all, these people aren’t white so they must need our assistance. Although this blog post isn’t about racism per say, I can’t write this without touching on the subject. Racism has permeated our culture so much that many people don’t even recognize it anymore. And many people use this racism to their benefit. Compassion International, a nonprofit company, connects children from developing countries with sponsors in the United States. Their website is filled with photos a cute, black children waiting for a loving donor. You can even peruse through the pictures looking for the perfect kid, heaven forbid you adopt an ugly baby. 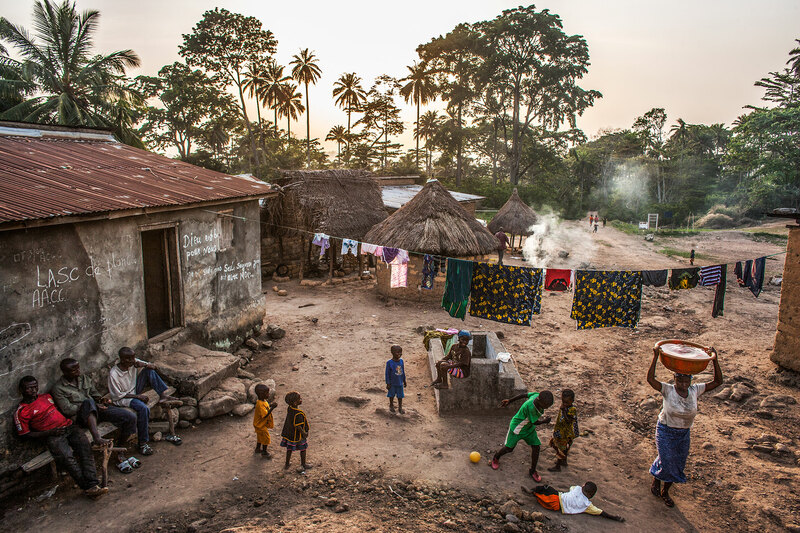 National Geographic, while running a story on Ebola in West Africa, showed a photo depicting a supposedly poor village in Guinea. Besides the tall palm trees in the background, I could have easily mistaken the compounds in the village with my own family compound in Senegal. The men, women, and children in the picture could have been my grandma, brother, mother, or nephew. They say a picture is worth a thousand words, but can it also tell a thousand lies? Although I can’t say I know the people shown in these photos, I do know their lives aren’t as terrible as we’d like to think they are. We, white America, feel the need to fulfill our supremacy by reminding ourselves that Africans are inferior to us because they are poor. They need us, we certainly don’t need them. Economically, many people on the continent of Africa are poor. But a lot of Americans are also living below the poverty line. Western governments love to brag about the amount of aid sent to Africa, but more money is sent to the continent through remittances of relatives living abroad than through development assistance (1). It appears as if Africans are better at helping themselves than we are. The men and women in my community who are my friends and family are just that, friends and family. I’m not better than anyone in America because I happen to spend time with a lot of Senegalese people. My family is one of my biggest sources of happiness, not because I’m helping them but because they’re my family. Hanging out with my Senegalese friends is no different than chilling with my American friends, it doesn’t matter that one group may be economically wealthier off than the other. Please don’t let these words stop you from travelling, especially to developing countries. 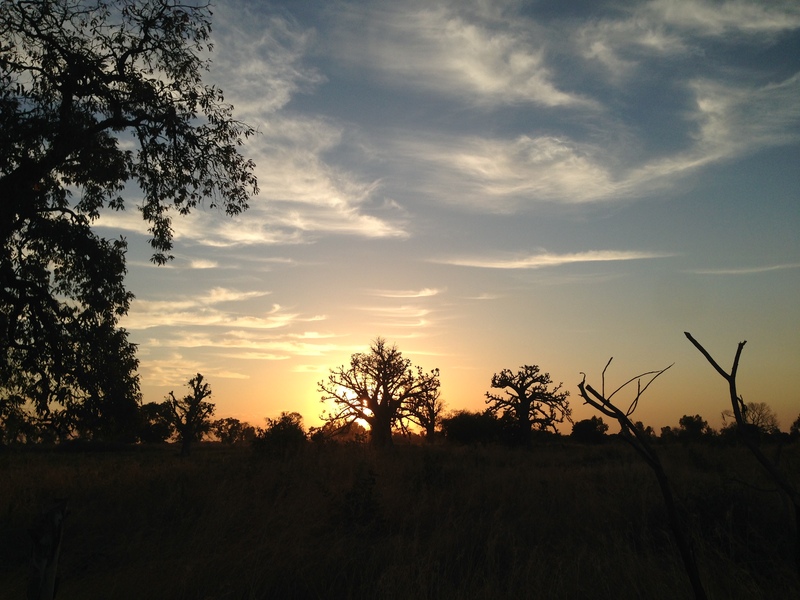 White people do need to see, taste, touch, smell, and hear Africa. But Africa doesn’t need us, they were doing just fine before the white girl showed up. As you visit these places, remember that you are being welcomed into another culture. You are there to observe and maybe participate, but it’s not about you. For once, let’s allow the world revolve around someone else. Although I’m only 24 years old, I have never had a job that I loved. There were jobs that I didn’t mind and jobs that I downright hated, but never a job that I actually liked. That is, until I became a Peace Corps Volunteer (PCV). 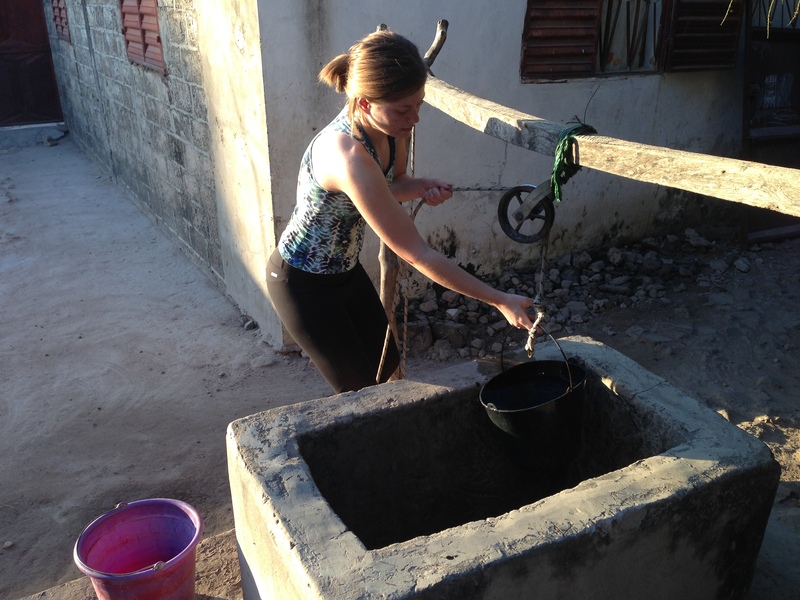 One of the best aspects of being a PCV is that you can choose the types of projects with which you will work. As a PCV in the Community Economic Development (CED) sector, I’m encouraged to work on projects that focus on economic activities, but I can also work on secondary projects in other sectors. Basically, if a project interests me, I can do it. 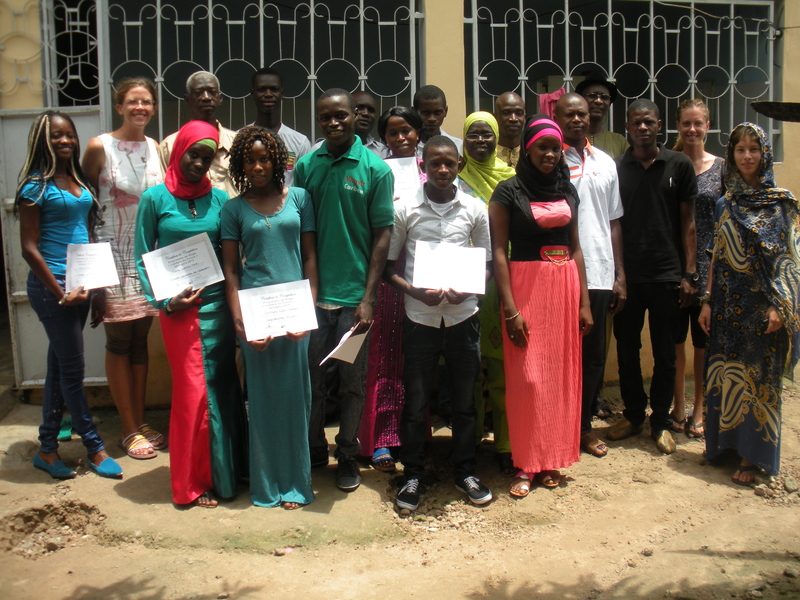 This past Saturday was the closing ceremony for the Leaders of the Future Internship Program. Nine students from the local high school completed the 5-week program with various organizations throughout Velingara. At the closing ceremony, the interns each gave a brief presentation on their experience, their supervisors said a few words of praise about each student, and we ate a big lunch. Throughout the morning, many thanks were said. Interns thanked their supervisors. Supervisors thanked the PCVs. And PCVs thanked the interns. But now I would like to take the opportunity to thank you, my friends and family at home. cover all expenses. And you came through. Thank you for helping nine motivated, intelligent, fun students gain experience in the working world. Thank you for allowing me to continue to do the job I love. 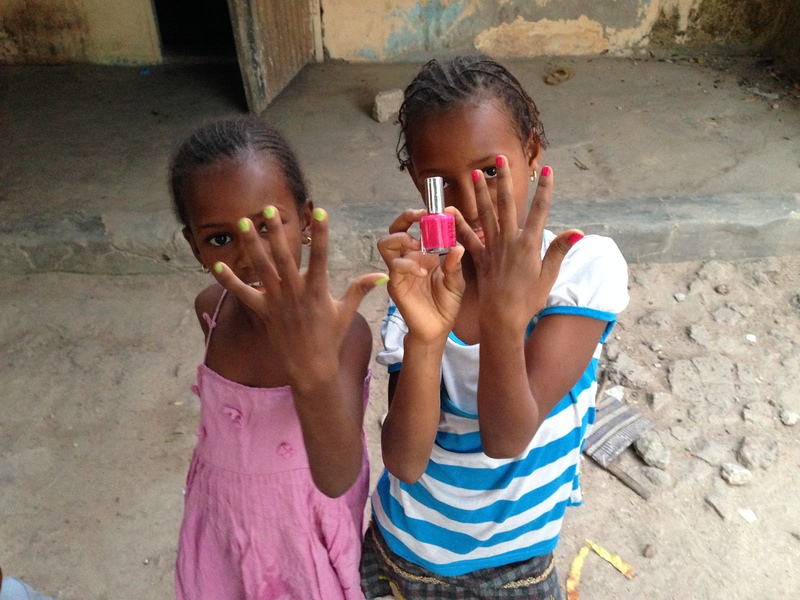 Thank you for participating in grassroots development in Senegal. Now, I’d like to introduce the interns I worked with throughout the program. It was a privilege to walk beside them as they learned about potential career paths. These men and women were already future leaders of their communities, but I was allowed to accompany them on their journey to success. Awa Kote worked with a hotel in hospitality. 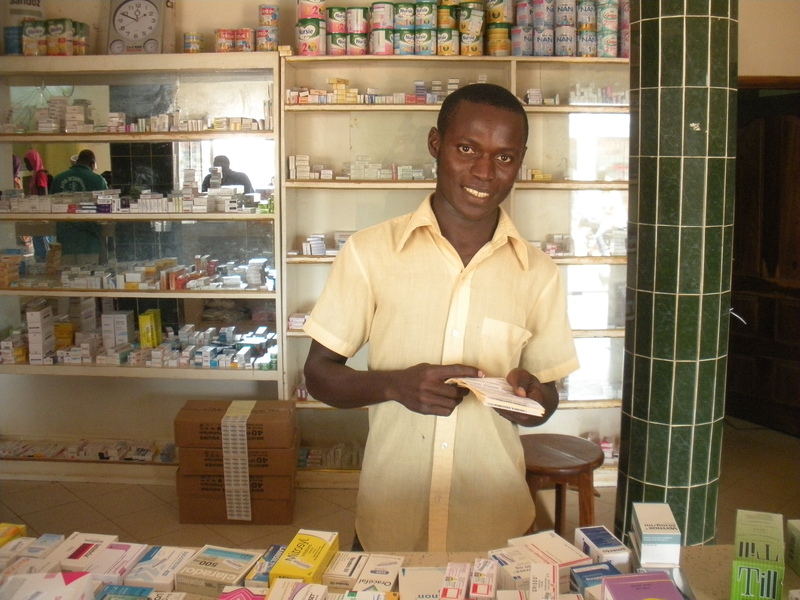 Customer service doesn’t hold a lot of value for people in Senegal, which can be frustrating for Americans. But with Awa working at the hotel, I was suddenly always met with excellent customer service. 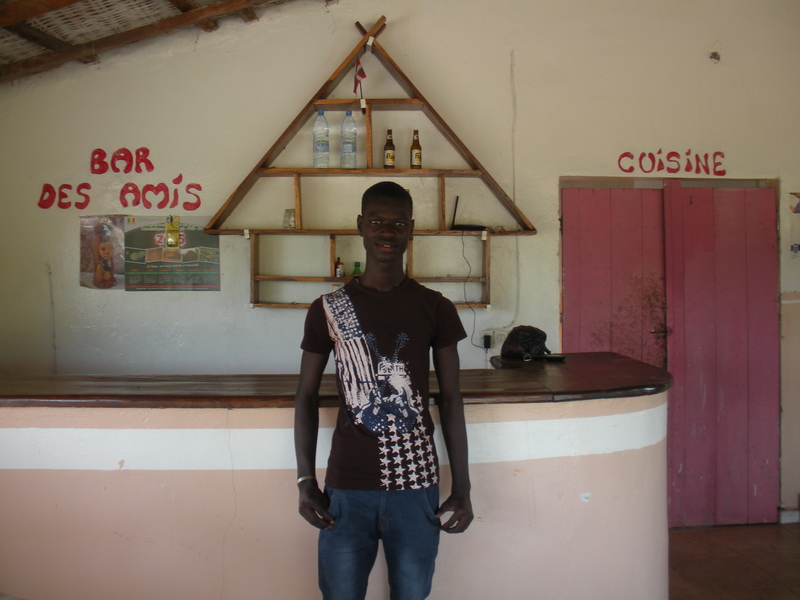 David Sambou worked with a campement in hospitality and agriculture. This was the first year of this project, so there were a few kinks to work out. When one organization dropped out at the last minute, David was very patient with me as I scrambled to find a new place for him. 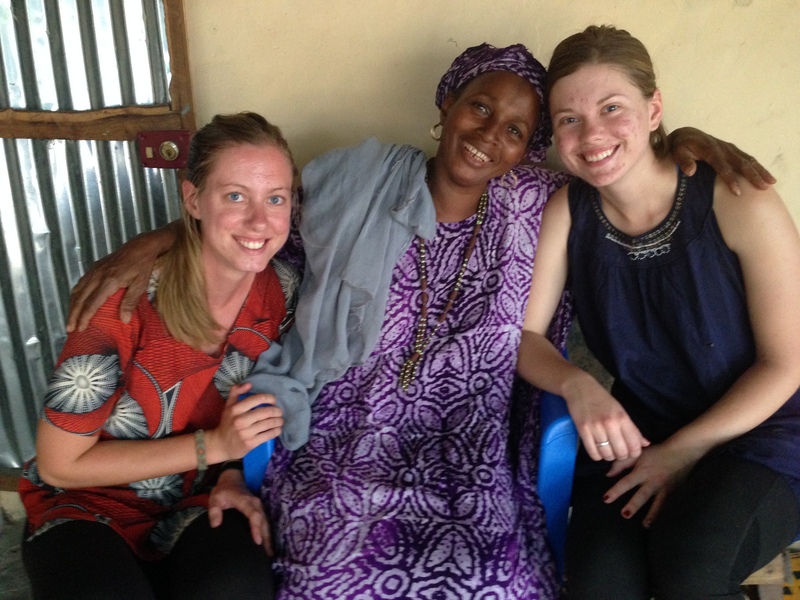 Oulimata Diallo N’diaye worked with a small American NGO focusing on Grandmothers as role models in communities. This girl always had something funny to say. 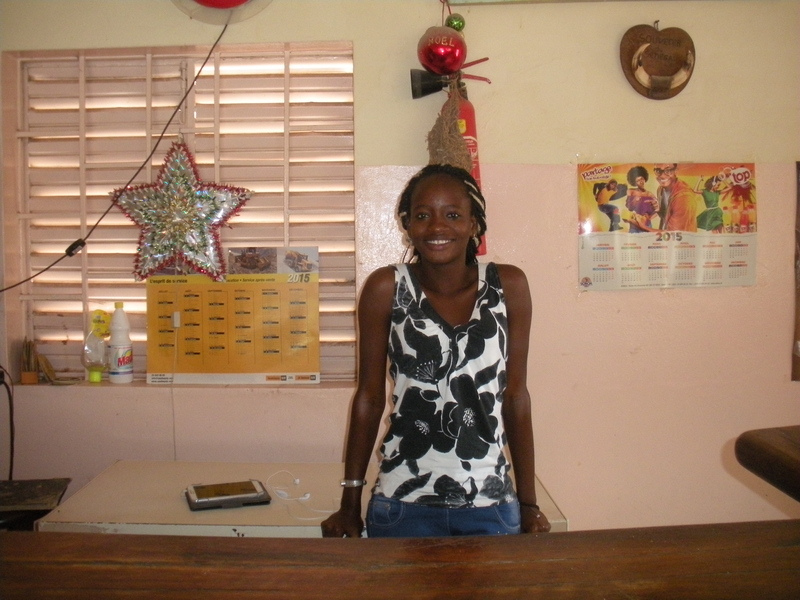 Although she originally wanted to work in hospitality, her friendliness was an asset in the office. 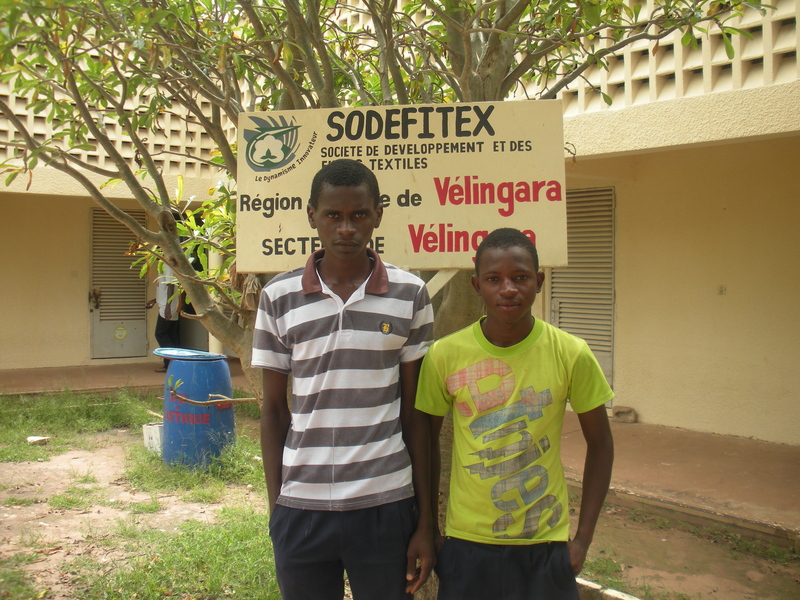 Mamadou Diallo and Abdoulaye Barry worked with a cotton manufacturer in the industrial and agricultural sectors, respectively. Both of these interns ended up with less than ideal jobs with the company, but they never complained. They both now know what type of job they don’t want, but still learned a lot from the experience. 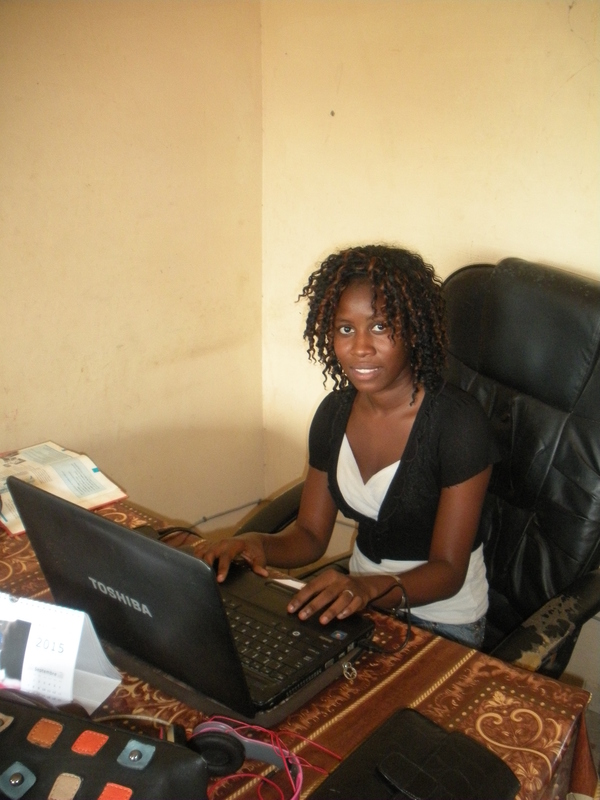 Moukouto Camara worked with a NGO focusing on adolescent and women’s health issues. She was able to gain a lot of field experience as well as in the office. 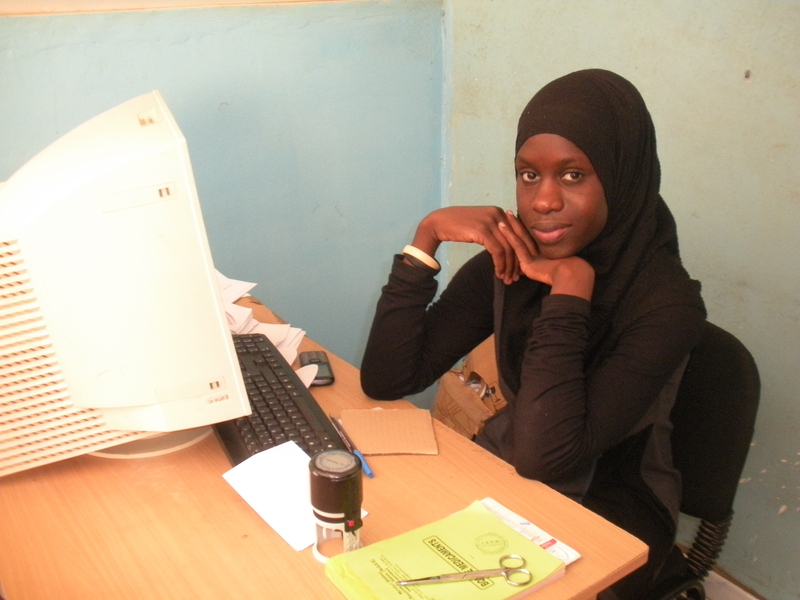 Before the program, she thought she wanted to be a doctor, but, after working with this NGO, discovered that there are many opportunities in the health sector. Ze Djo worked with a pharmacy. He loved to practice his English with the PCVs, blowing our minds with his extensive vocabulary. No one could ever pronounce his name correctly, but he still gained experience in inventory management. 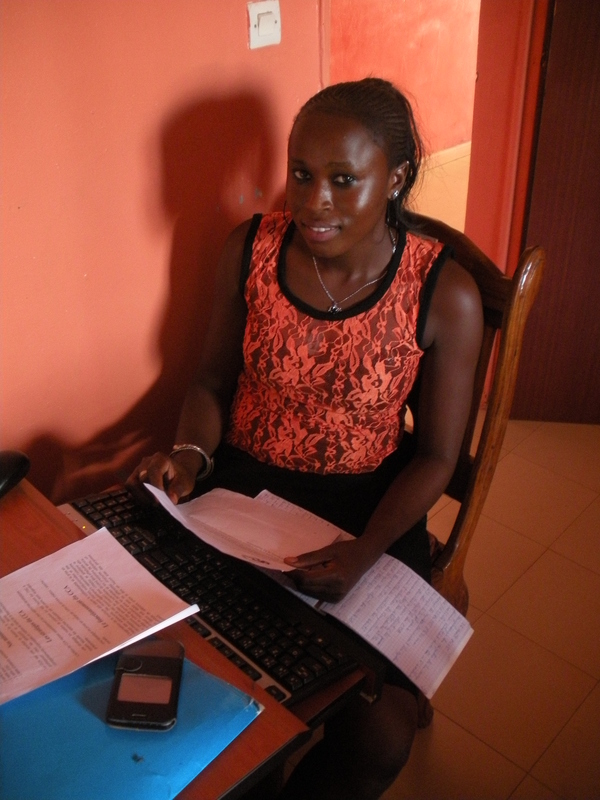 Fanta Minth worked with an insurance company for teachers. She once told me that her father was her role model because he worked so hard. She wanted to follow in his footsteps and was one of the best interns. 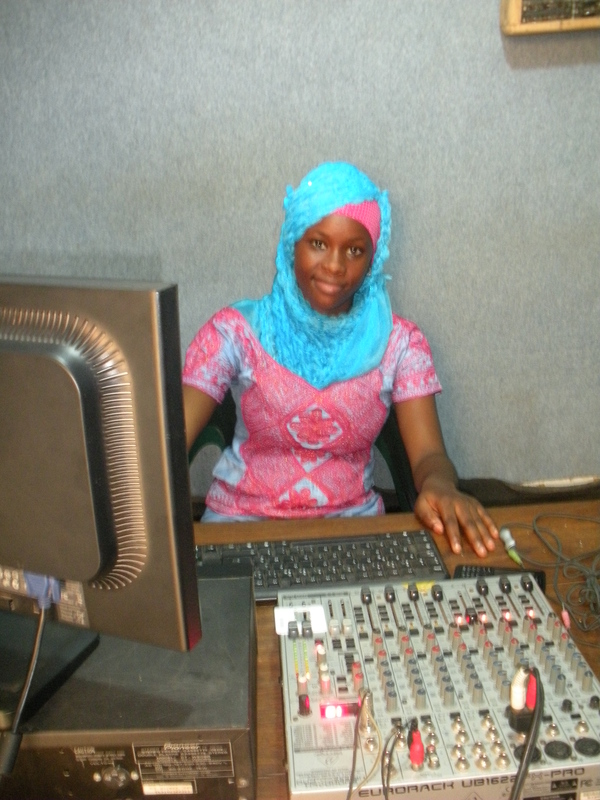 Terema Traore worked for a radio station. During her oral interview, she wouldn’t stop talking about how much she loved journalism. Whenever my family listened to radio, they always commented on her strong radio presence. Over the course of the program, these men and women have become my friends. As they return to their villages for the remainder of the summer, I made them promise to stay in touch. Some will return for their final year of high school while the rest will be off to university. I feel like a proud mother. 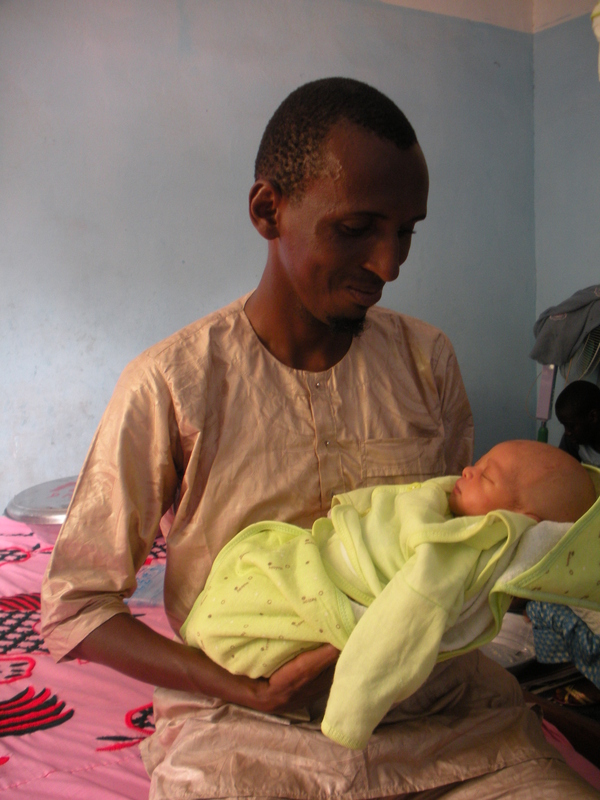 Two weeks ago, my host brother’s wife, Mari, gave birth to a baby boy. Like most births, it was a happy occasion. But, for me, this birth was an especially joyous event. Whenever anyone asks why I love the life I live in Senegal, I always respond with one thing: my family. A little over a year ago, when I arrived in Velingara with beginner Pular, three suitcases, and a sunburned face, my family welcomed me as one of their own. Instantly, I became a sister, daughter, aunt, and niece. Although I will always be the weird foreigner living in the corner room, I am the crazy white person that belongs to the family. Most of the time, I take this role for granted. The children annoy me. My mother always asks where I’m going. And my grandma never stops teasing me. Like many things in life, it can be all too easy to overlook the good things we’ve been given. After returning from a three-week vacation to Europe, I realized how much I missed my family in Senegal. Maybe distance makes the heart grow fonder, but, as my little sisters ran out to greet me on the road, my spirits soared. As I walked into the house, I was coming home. When my sister-in-law became pregnant, I didn’t give it much thought. 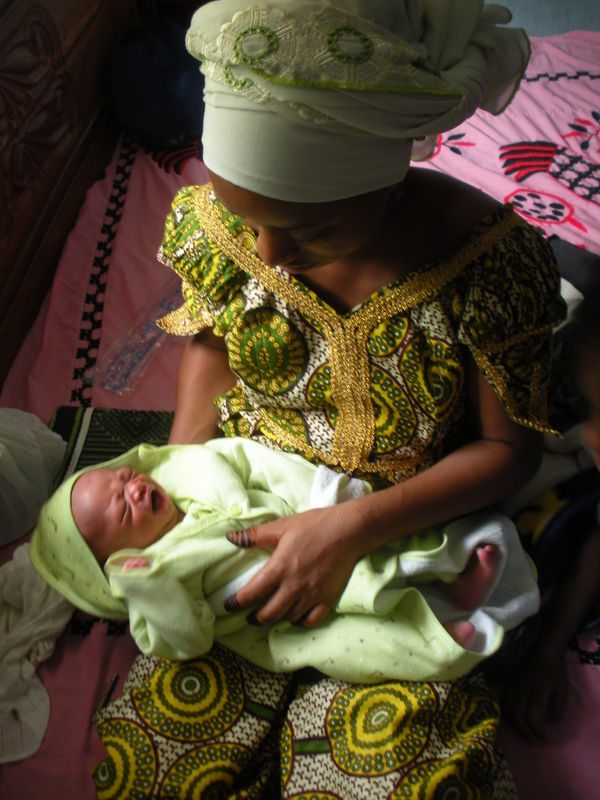 In a society where a woman’s primary role is as a mother, women are often pregnant. Additionally, because many people are superstitious, it’s bad luck to talk much about a pregnancy. Mari already had three kids, a fourth one didn’t seem like it would have a great impact on my life. 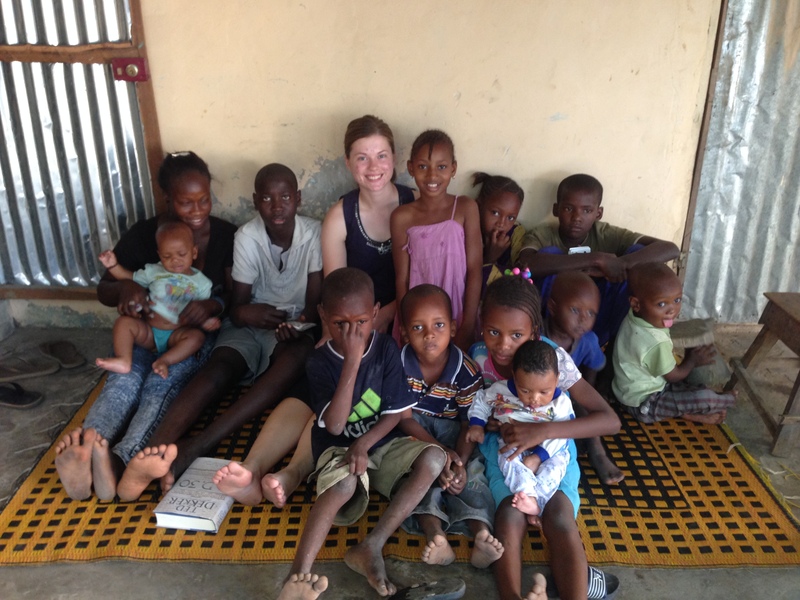 The other children, Salimatou, Dienabou, and Ablaye, were just like little brothers and sisters to me. I hug them, scold them, tease them, and (occasionally) give them candy as if they were my American siblings. Because Mari gave birth in the middle of the night, I didn’t find out until I woke up the next morning. As soon as I heard the news, I rushed over to the hospital. My mother, grandma, and a couple other women were already there. When Mari presented the baby to me, my eyes instantly filled with tears. I hid my face from the other women in the room as I admired my new little nephew. 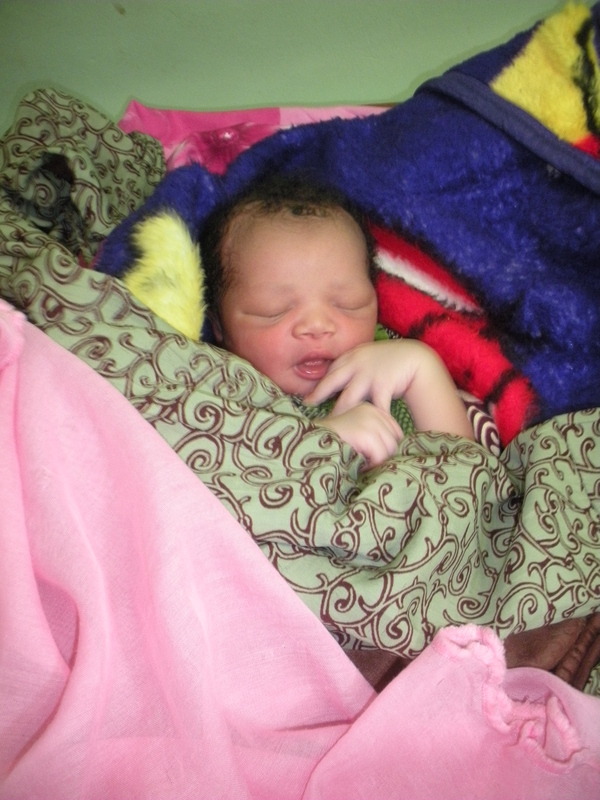 I’ve seen many newborn babies during my time in Senegal, but this one belonged to me. He was the newest member of my family. I was no longer the newcomer, but I was there to welcome him with open arms. Sometimes I feel like an outsider in my family. First of all, I’m white. Secondly, the culture, language, and customs still seem foreign to me at times. Thirdly, the fact that my time here is temporary always hangs over our heads. But babies seem to have a way of pulling a family together. When Mari and the baby came home later that day, I was reminded that this family is my family. I belong to them and they belong to me. As I held the baby in my arms, and he inevitably peed on my lap, I was thankful for a family that had become just as much my family as the one I left behind in America. We look like sisters, right? Like all families, it’s not perfect. Living with a host family isn’t all fun and games (and babies). Often times I long for the independence that comes with living on your own. But I wouldn’t trade my family for the world. After all, families are just like babies: although they may pee your pants, the happiness they bring makes up for all the extra laundry.